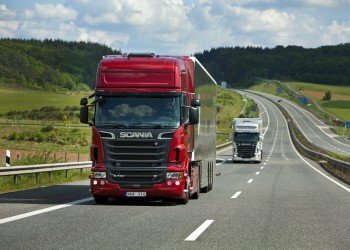 After you have applied for and received your provisional HGV license and have taken and passed the theory test, you will then have to take the practical test before you will become qualified as an HGV driver and can find a job from one of the many available. Before you take your practical test it is a good idea to undergo a training course. Unless you are already experienced in the area and have had lessons in the past, you will want to take a course to get your driving skills up to the level they should be for driving such a large vehicle. There are many training schools that offer this service, some of which provide a five-day course culminating in the practical test. The practical test is not just based on actual driving. Before you start to drive the vehicle, you will first be asked five questions based on vehicle safety, and if you get any of these wrong you will receive a fault. If you fail to answer all of the questions correctly, this will go down as a major fault and you will fail the test. After answering the questions, the driving stage of the test will begin. The driving stage is divided into general driving and specific manoeuvres, which you will have practiced in your training. The manoeuvres will involve an element of braking, an uncoupling and re-coupling procedure (for tests with a trailer) and making a reverse manoeuvre. You will also have to demonstrate a number of skills to the instructor during your driving test. These include, but are not limited to, showing that you can start the vehicle, stopping the vehicle in a controlled manner, making correct use of signals, overtaking effectively, performing various safety checks such as securing a load and checking before opening a door, and generally showing awareness on the road and responding to any situations that arise. You will be driving on the public roads, and this part of the test will last for an hour. However, the whole test should be completed in 90 minutes. In terms of passing, you will be given minor and major faults for anything that you do wrong. You will be allowed a maximum of 15 minor faults before failing, but just one major fault is enough to fail the test. Once you have passed the test, you will be given your driving license and you will become a qualified HGV driver. This can be issued automatically, and your details can be scanned in from your current license and sent to the DVLA, and your license will arrive within three weeks. You will also get a certificate proving that you have passed. After you have passed, you can then choose to take the Class C+E test as well if you want to become qualified in all HGV’s.